noodles. This soup is made with Persian noodles which are flat, similar to fettuccine, but slightly less wide. The noodles in this soup symbolize good fortune and success in the path ahead. Just like any other Persian Ash, it is best when this soup is allowed to rest before it is consumed. It is perfectly OK to make it the day before or give it at least a couple of hours of rest before it is served so that the flavors better come together. Some opt to use canned chickpeas and red beans for this soup. I have done this before to save time. However, I have discovered that cooking the beans from scratch makes a huge difference taste wise. 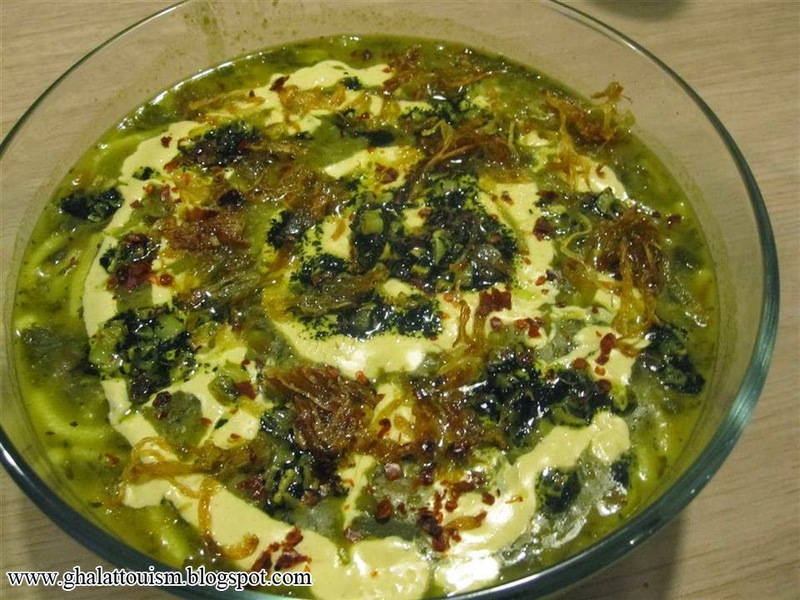 Asheh Reshteh is always a winner for the vegetarians and vegans that attend our Norouz gathering. Of course, the latter group will have the soup without the whey!